When you use your Ann Taylor store credit card for purchase. If you’re a woman who’s seeking chic, classic clothing with a dose of everyday glamour, then Ann Taylor is the brand for you. Her modern takes on sophisticated staples will let you go straight from your living space to workplace to a ladies night out on the town – with just a quick change of accessories. Featuring amazing deals on blazers, blouses, cashmere, dresses, knits, scarves, shoes, and more – you can afford to refresh your wardrobe, no matter what stage or salary you are at in life. Dress up your order with an Ann Taylor coupon code at checkout today to get stylish for a fraction of the cost. 50 is the new 40, 40 is the new 30 – and the new modern woman is redefining what it means to look and live the middle age. Luckily Ann Taylor has designed quality clothing to compliment our maturing lives and personal style. Ditch those dated mid-century duds for contemporary classics like the Pierre Printed Camp Shirt, Ponte Pencil Skirt, Check Print Pintuck Pants, or Cashmere Wrap Cardigan. Shop by new arrivals, category, price, size, and style or simply browse the must-have looks for Ann’s most put together picks. When you shop Ann Taylor, much like fine wine, your adult wardrobe will get better with time. Ann Taylor not only makes sophisticated apparel for the established woman, there is also a full collection of shoes and accessories to keep you fully clothed in attention getting looks – from stylish head to toe. Shop an endless selection of foot candy like the Perfect Pumps, Cheri Platform Peeptoes, and Shanna Suede Flats. Or add instant glam to your jewelry game with the Luxe Linx Necklace, Artisan Bracelet, or Exotic Embossed Clutch. Ann Taylor even outfits women on their most special day – featuring a Wedding & Events specialty boutique that offers gorgeous gowns along with honeymoon unmentionables, bridesmaids, and cocktail dresses. Ann Taylor has been in the business of helping real women put their best dressed selves forward for nearly 60 years now. Founded in 1954 by Robert Liebeskind, the son of a dressmaker – the brand saw its start in boutique form. With clothing catering to the well dressed woman, his pieces were designed to flatter and enhance the natural beauty of women of all shapes and sizes. From its humble beginnings as bestselling dress style to an apparel empire, the Ann Taylor brand of today has become a staple of the modern woman, with two distinct lines distributed in over 900+ retail and factories stores throughout the US and Puerto Rico along with their .com outpost online. Ann Taylor believes that her clients should look and feel great about the clothing they wear. Ann, Inc. practices the four better business tenets of acting responsibly as a corporation, making products ethically, protecting the environment, and taking care of the local communities that they do business in. Ann, Inc. has donated countless efforts and funds as part of their continued corporate commitment. They currently partner with charities and organizations like The Breast Cancer Research Foundation (BCRF), Step Up Women’s Network, Dress For Success, St. Jude’s Children’s Hospital, Kids in Need Foundation, Green Good360, and Goodwill Industries to give back to those in need. Ann Taylor gets that a real woman expresses herself through what she wears – at home, work, and play. The well designed collections and accessories let you live a comfortable and casually layered life, without sacrificing on style. While Ann Taylor takes care of your wardrobe, we at CouponPal are here to outfit you with the very best in deals. Apply one of our Ann Taylor coupon codes to your next order and set the trend in big savings. If you’re looking for the best classic styles from top designers, look no further than Ann Taylor. Ann Taylor offers the very best looks right off the runway for the professional woman, and all for unbeatable prices. If you have any questions about ordering your gorgeous new wardrobe essentials, read below to find the answers. Why isn’t my Ann Taylor coupon working? If you are trying to use an Ann Taylor coupon and it won’t work, chances are, it’s expired. Make sure you check and see what the end date of the offer is, and see that it hasn’t already passed. 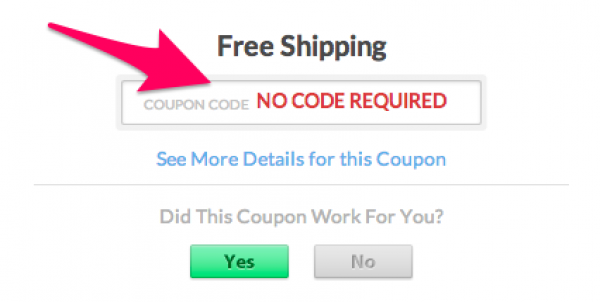 Another possibility is that there are restrictions on the coupon. Some offers are only valid on purchases of a minimum amount, or on purchases of certain items. Check the coupon you want to use make sure you know what the restrictions are. You might see a small “i” or “information” symbol in the upper right hand corner of the coupon. Click on this to reveal the coupon restrictions. If you don’t see an information symbol, then either there are no restrictions on the validity of the coupon, or you may have to check at AnnTaylor.com to find out more information about the offer. 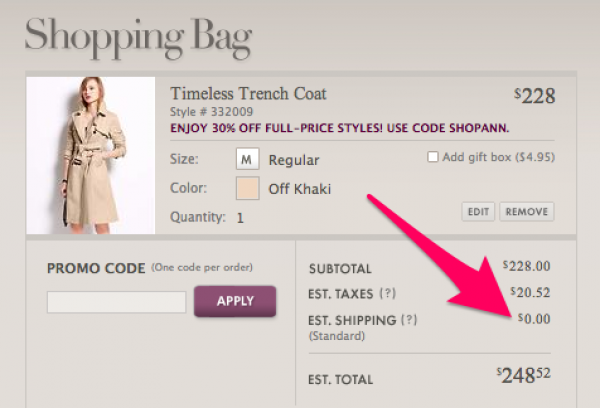 How much does shipping cost from Ann Taylor? Can I get free shipping? The cost for shipping will depend on where you live and how fast you want to receive your order. The good news is, Ann Taylor offers free shipping on many items. Check back often at CouponPal.com to find the latest free shipping deals from Ann Taylor. How can I contact an Ann Taylor representative? You can get in touch with the Ann Taylor team by calling 1-800-342-5266, or you can email them at clientservices@anntaylor.com. 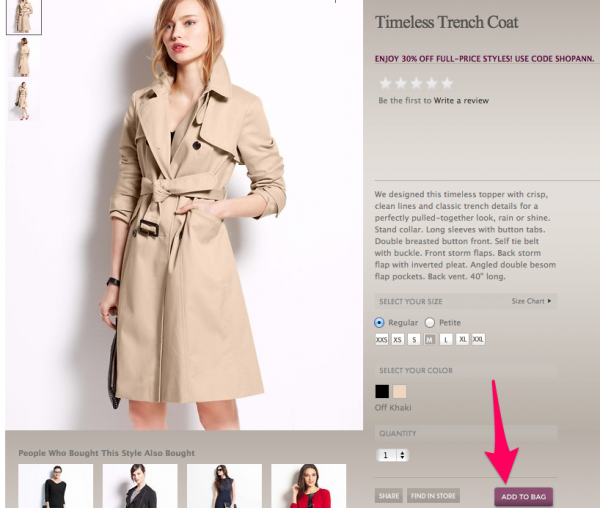 If I find an Ann Taylor deal that you don’t have on your site, can I add it to your page? Not a fan of waiting in line for dressing rooms? Neither are we. Now you can shop the latest fashion trends through AnnTaylor.com and try on your new clothes in the comforts of your home. Ann Taylor has everything from work attire to outerwear to wedding essentials for women in a variety of sizes. Use an Ann Taylor coupon code to save money with every purchase. Below are instructions on how to use an Ann Taylor coupon code and how to cash in on Ann Taylor deals that don’t even require a code. After locating the Ann Taylor coupon code or deal you want, click the corresponding "Get Deal" button. This page will redirect to Ann Taylor where you can shop and a new window with the code will open. This particular deal doesn’t require a code, so you won’t need to enter one. After you have clicked the Couponpal "View Deal" button, your window will be redirected to AnnTaylor.com. You can now browse through the category of items you want to purchase. For example, you can click on outerwear, dresses, activewear, shoes, pants, and accessories. From the product page, go through the steps to put together your order. For example, you may need to hit a minimum purchase amount to receive the free shipping deal – this one required a minimum order of $150. Paste the Ann Taylor coupon code where it says “Enter code here” and select “Apply.” The cart will automatically refresh and you will see your new lower price.